MORE than 10 fire incidences caused by violent protestors were reported since Monday, with the Bulawayo Fire Brigade failing to attend to some due to threats against fire fighters in some suburbs. 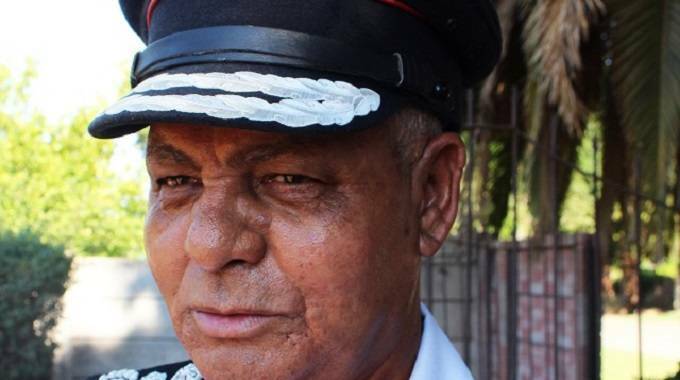 Bulawayo Chief Fire Officer Mr Richard Peterson yesterday said they had received more than 10 reports of fire incidents since Monday. “I don’t have the exact figure with me because I’m not in the office but we received more than 10 reports of fire between Monday and yesterday and we didn’t manage to attend to all of them due to the situation. “On Monday our vehicle was attacked by violent demonstrators while responding to the Choppies fire in Pumula even though we were being escorted by the police. Fortunately the vehicle was not damaged and there were no injuries,” said Mr Peterson. He said the Fire Brigade was responding to fire incidences from one fire station in Famona suburb because the situation forced them to close other stations. “The demonstrators were threatening to burn the Nketa Fire Station so we decided to close it and we drew all the workers to Famona. We’re operating with a team of a few Fire Fighters because the rest are grounded at their homes. It’s quite a challenge,” said Mr Peterson. He said it was unfortunate that emergency services had failed to save some buildings from fire but the situation was beyond their control. “As emergency services, we’re always ready to save people’s properties from fire but the situation did not allow us to attend to all of them. We’re working with the police to do our work but we also have to be vigilant because the demonstrators get more violent when they see police officers,” said Mr Peterson. He urged demonstrators to redirect their energy to engaging the Government, saying destroying properties will not resolve issues. “I would like to urge people to stop looting and burning buildings because this creates more problems for us. Destroying properties is not necessary. Now people have lost jobs and their livelihoods will be affected. In this case people claim to have issues with the Government but they’re destroying properties. They’re simply turning against each other not the so-called target,” said Mr Peterson. Some suspects started appearing in court yesterday in connection with the looting and violent attacks as police continue to make more arrests.